Our linen rental services and products for hotels, motels and inns are designed to enhance your guests’ experience while helping you save money. Our crisp, fresh pressed linen and plush terrycloth towels will have your guests raving about the luxury and comfort of your rooms as well as set you apart from the competition. Renting our products is easier than managing your own inventory and maintaining an in-house laundry facility with no capital investment. It can also save your business money each month as you can easily adjust your linen and laundry demands during peak and off-seasons of the year. The convenience of using an in-house laundry facility for hotel bedding and linen needs is easily overshadowed by the benefits we offer guests, including customized products, services, and delivery schedules. Providing you with clean, luxurious linens is just the beginning of what our linen service has to offer hotels, motels and inns. More than simply a linen company, we are a one-stop shop for many of your property’s needs. We provide uniform rental services that will help you keep your staff sharply dressed at all times. Food service uniforms and uniforms for housekeepers are the two most popular options our current hotel client’s request. We offer a variety of easy-to-care and easy-to-wear uniform rentals tailored to fit both men and women. We also offer custom garments including embroidery work wear. Our linen service offers two options for luxurious, beautiful hotel bedding; we can launder the bedding linens you already own, or you can rent linens from us. Either way, our services will impress your guests. With simple elegance and contemporary styled bed linen, our sheets are long staple Egyptian cotton to ensure the weave remains pill-free and maintains its soft, durable finish. They stay soft and smooth to enhance your guest’s comfort. Below are some of the options available through our linen rental program that can help you avoid the rising costs of managing an inventory and operating an in-house laundry. Do your sheets ensure comfort as well as durability? You’ll see and feel the difference… from the touch to your bottom line. Our linen service offers two options for providing you with fluffy, clean terry bath towels; we can launder the bath towels you already own, or you can rent terry towels from us. 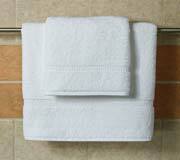 Give your guests a little taste of luxury with superior quality, clean bath towels. 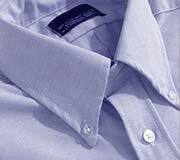 Our Linen Service offers Uniforms and Custom Image Apparel rental. From rental chef coats and kitchen pants to embroidered polo shirts, we offer a variety of rental uniforms to keep your hotel, kitchen, dining room and bar staff looking sharp. Below are some of the options available through our linen rental program that can help you avoid the rising costs of managing an inventory and laundering in-house.